A page for both my favorite analog and digital photos. -Polaroid Colorpack II. Found on eBay for $.99. Yup, only 99 CENTS! Well, plus a couple more bucks for shipping. I am still working out some kinks, but I love it despite its extreme bulkiness. I probably love it the most because of the ease at which you can make double exposures, and the satisfaction you can get from peeling the backing to reveal the pic. Probably why I had the wonderful Ramsey make me a sketch so I can use it on my mailings. 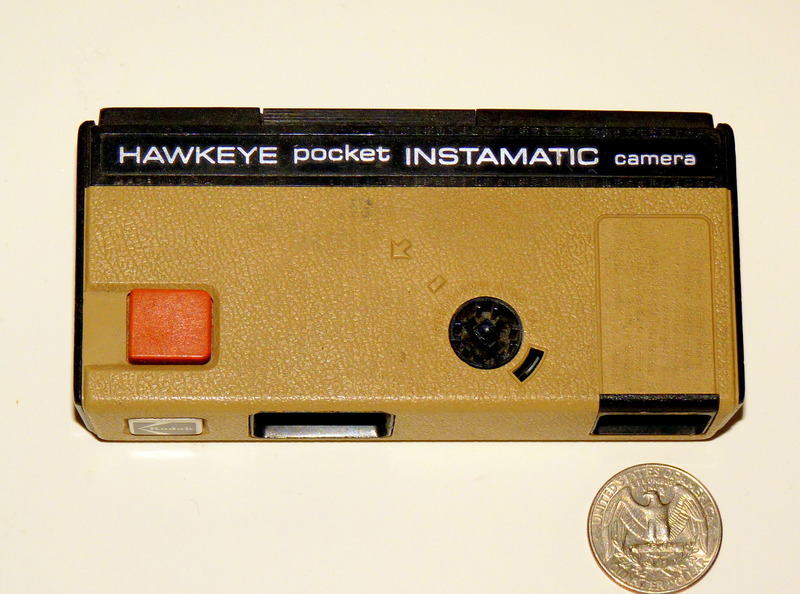 -110 Kodak Hawkeye pocket Instamatic. Small as can be. it’s a pretty nice camera that gives a fantastic grainy photo. I also have an underwater 110 camera. I don’t take too many underwater shots (project idea! ), but I love the rugged look. 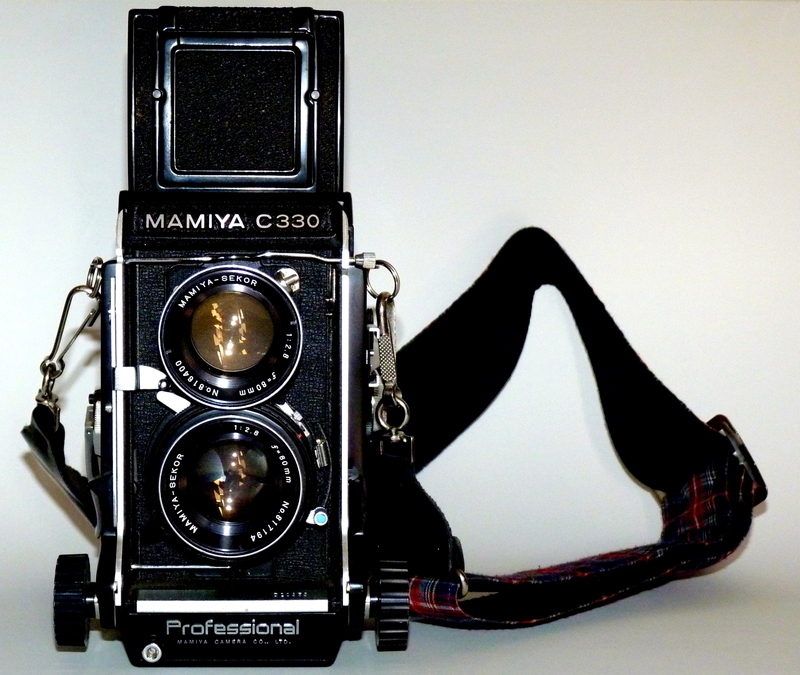 -mamiya c330. my newest old camera. I’ve only strung one roll through it, but I am already in love with it for still life and portraits, most definitely. 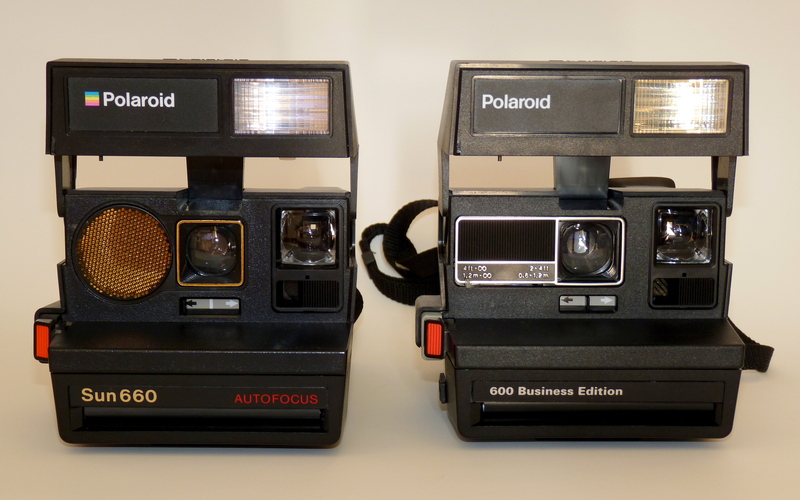 -Polaroids: Sun 660 and Business Edition. You can’t beat a Polaroid camera for novelty. Everyone loves them at a party. Although the film is kind of expensive, people love it. 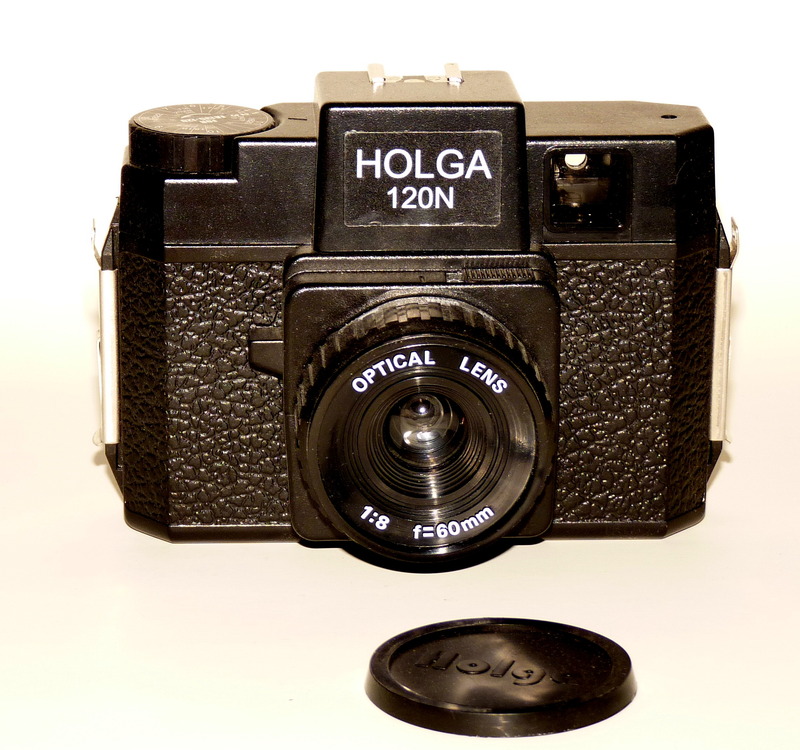 -Holga. What kind of enthusiast would I be without at least one toy plastic camera? 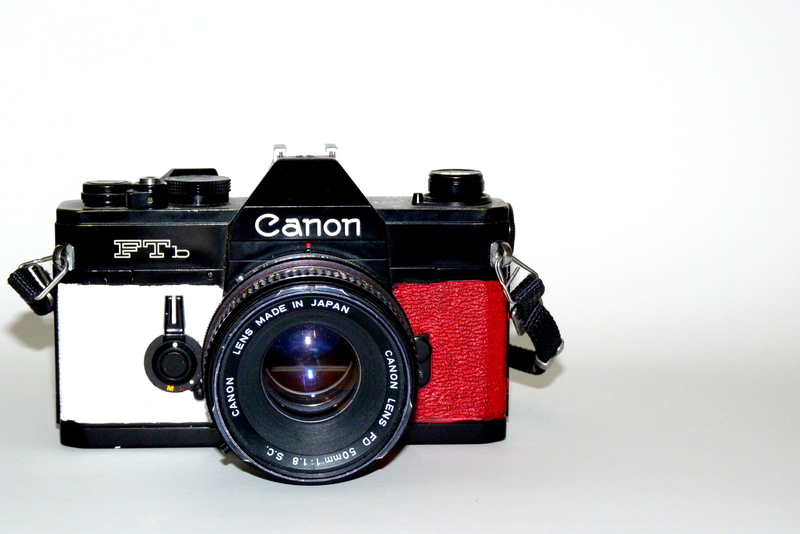 -my trusty 35mm Canon. I painted it red + white because…why not? It got me thinking of how I could customize the rest of my cameras. Stickers? Racing stripes? Car hood ornaments? -two Land cameras. I was able to get some batteries for them and After a few (user error) mishaps, the pics I get out of these are just as good as my Colorpack. -Canon Powershot. It is an old model, and only 6mp, but jeez some of the pictures it takes rivals some of my higher-end camera’s shots. I have trouble even thinking about parting with it. -Lumix fz35. My first “big” camera purchase. I got so used to the buttons and the positions, when I upgraded it was a whole new world I had to dive into. -Sony NEX-5R. Both 140 and 50mm lenses take GREAT photos. I have had it for less than a year so I still have a lot to learn, but the clarity of the shots are fantastic. And the sunset colors – magnificent!